Located just one hour from Houston, the Tremont House in Galveston is the perfect romantic getaway for couples. It’s situated near local attractions and beaches, including antique shops and an opera house. Although this building dates back to 1839, it’s a luxury hotel. You’ll be impressed with the high ceilings, hardwood floors, and custom period furnishings. Each guest room comes with access to premium cable channels on a high-definition TV, free Wi-Fi, iPod docking station, and Wolfgang Puck Coffee. The Tremont House also has some delicious dining options with its casual Tremont Café, and two bars – one located on the roof. About an hour’s drive from Austin and San Antonio, Wimberley Village is close to attractions like Schlitterbahn Waterpark and Wonder World. 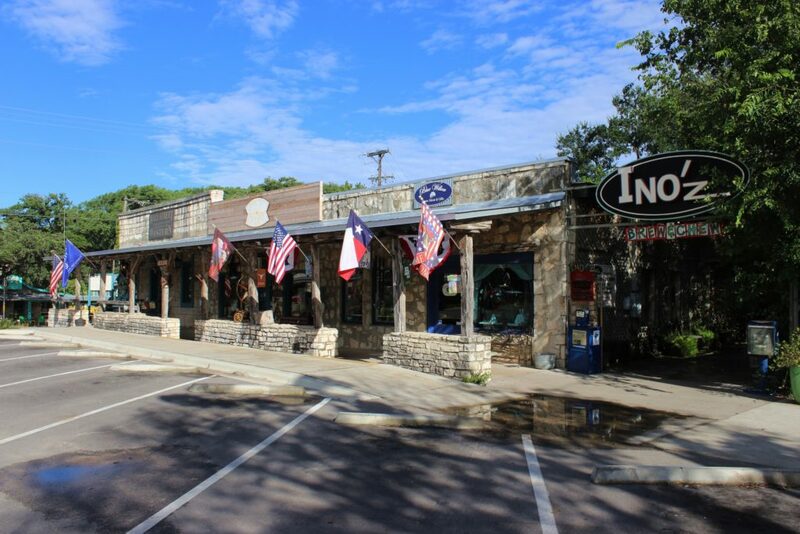 For adults, Wimberley offers plenty of specialty shops and dining experiences. If you’re heading out to Wimberly Village for a day trip, you may want to consider booking an Airbnb for the night. At the end of the day, you might be too tired to drive home. Here’s a tip for booking your room: Look closely at the photos to see what color the host painted the walls in the room you’ll be sleeping in. Make sure the room is painted with neutral colors like slate gray, rather than red or yellow. Red and yellow create a sense of urgency, and might make you anxious. Go for a room with neutral colors to get a good night’s sleep. Located in historic Fredericksburg, Cotton Gin Village is a community of rustic, wooden cabins made with stone walls, tin ceilings, and wood-burning fireplaces. These cozy cabins have wide porches so you can get up early and enjoy the sunrise with a cup of coffee, or watch the sunset with a cup of sweet tea. While you’re in Fredericksburg, there’s plenty to do. Since the town is historic, there’s plenty of nature to check out, including Old Tunnel State Park where you can see thousands of bats flying around in the night. Other interesting attractions in Fredericksburg include landmarks and museums. The name sounds funny, but Hotel Derek is a popular getaway in Houston’s uptown Galleria area. There’s plenty of sightseeing to do in the area, so this stylish hotel will give you a relaxing home base to come back to with an outdoor pool, a spa, and a 24-hour fitness center. Rooms at hotel Derek feature English wingback chairs, cowhide rugs, pinstriped duvets, and are decorated with relaxing, earthy tones. Each room comes with Wi-Fi, voicemail, and for business travelers, there are FedEx supplies in each room. Maid service comes twice a day, there’s room service and a concierge, and the hotel offers pet-friendly accommodations. Hotel Derek is also relatively less expensive than other, similar hotels in Texas. When you’re visiting Dallas museums and theaters, the Fairmont Dallas Hotel is the place to stay. This hotel is located in the West End Historic District of Dallas, next to the Arts and Financial Districts. From this hotel, you can walk three blocks to the Dallas Museum of Art, Symphony Hall, and the Nasher Sculpture Center. When you’re done exploring the area, book a massage in your room, enjoy a snack by the pool, or hit the gym. It’s your staycation. If you’re not looking for a specific experience, and just want to explore, power up your GPS and start driving around. Follow the road where the scenery gets interesting, and wind your way through Texas, exploring new places along the way. Use a restaurant finder app to grab a bite to eat. See an unplanned movie. Stop at a local bakery. Crash at a hotel you find along the way and enjoy new scenery. Not all staycations need a planned destination to be enjoyed. Sometimes spontaneity is the grandest adventure of all. Tagged destinations, Texas, travel, USA, vacation.